Some SCSU students cut their hair for a cause during Alpha Sigma Alpha’s 6th annual Buzz-A-Thon fundraiser. 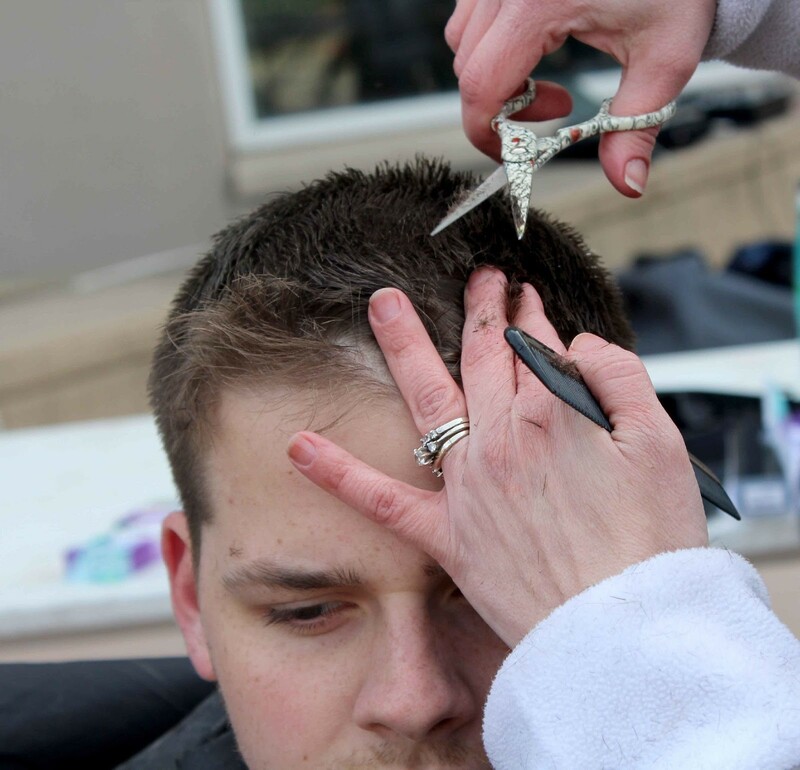 The event offered students the opportunity to have their hair buzzed or trimmed by professional stylists in order to raise awareness for cancer among children. Carmen Roman, sophomore member of Alpha Sigma Alpha, said her sorority aimed to raise enough money to send four children with cancer to Camp Rising Sun. Camp Rising Sun is open to any child between the ages of 5-17, whether they are still in treatment or remission as long as they gain the approval from their doctors. Andrea Marcal, sophomore member of Alpha Sigma Alpha, said she coordinated the event and although it was a stressful process, the end results of the fundraiser made it all worth it. The sorority also gave away hundreds of razors for students to take when they came to get their haircut, donate, or when they were just passing by the student center patio. Chris Caruso, senior public health major, and Eric Howard, sophomore hospitality major, said after participating in the university’s Heart Walk they felt that it was only right that they got their haircut for the fundraiser. “We walked 1.2 miles just around campus and thought we might as well do two good things today,” said Caruso. Howard said the event resonated with him on a deeper level because of his personal experience with the disease. According to Kidsvcancer.org, around 13,500 children are diagnosed with cancer in the US annually. Roman said the sorority is short under one thousand dollars to meet their goal. She said every dollar collected for the cause is appreciated and will go towards making a difference in a child in needs life.